This is the second in our “Legends in the Outdoors” columns. This week we highlight the life of our good friend the late Jim McDonnell, Royal, IA. 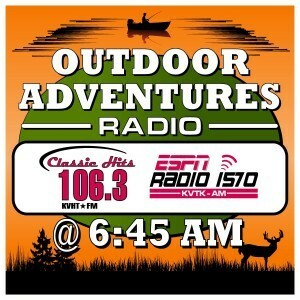 If you ever attended one of the Mitchell, S.D., Cabela’s Fishing weekends, Sioux City Boat Sports and Outdoor Travel Show, Council Bluffs Outdoor, Boat Sports & Travel Show along with numerous other outdoor shows, you probably saw Jim there. He was a frequent seminar presenter and had booths at many of these shows. Jim McDonnell passed away unexpectantly on January 27. Jim had operated his famous fishing guide business for over 40 years. “The Fishing Professor” was a middle school teacher and High School coach for 35 years. There have been a few men I have met who assumed a larger than life persona. Jim McDonnell, of Royal, Iowa, my friend, hunting partner and fishing partner for a good many years, was certainly at the top of that list. If you are an outdoorsman and knew Jim, you understand what I am trying to say. Jim was the outdoors. It didn’t matter if he picked up his bow, which he much preferred to the gun because of the challenge, or the rod, whether for musky or perch, he was the yardstick against which we all have to be measured. When he passed last week at the age of 74 it was an absolute punch in the gut to everyone who knew him. Jim was just one of those guys you thought would go on forever. He had spent his entire career as a high school teacher and girls athletic coach in Royal. He was a good coach. In fact, in March he will be inducted into the Iowa Girls High School Athletic Union’s Hall of Fame. But I knew him first as a fisherman and later as a hunter. I guess if you are a Northwest Iowa outdoorsman, you knew Jim. He founded the Iowa Great Lakes Fishing Club in 1967 and served as its president until his death. At one time, it was the largest fishing club in the United States, with more than 300 members. Jim worked hard to produce the club’s newsletter, and it was filled with members’ photos of big fish caught during club outings and stories about how to catch fish. I looked forward to each one. 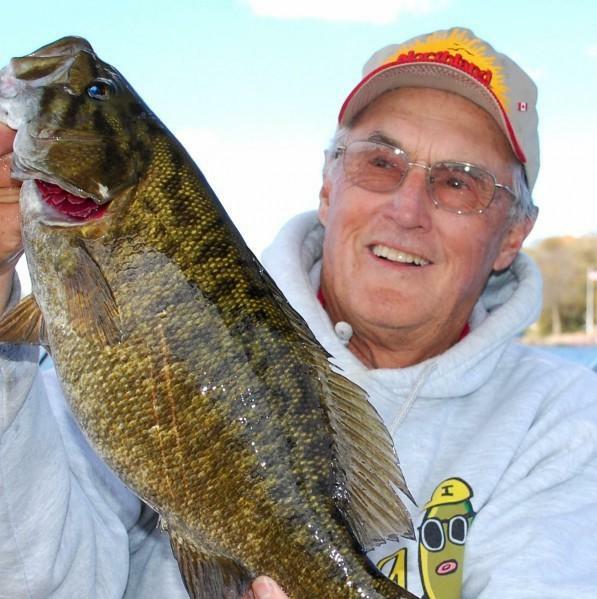 Jim began guiding on the Iowa Great Lakes in the 1960s. He was the first. And it was something he did every year. He had a large clientele and spent most open-water days guiding fishermen. And when he wasn’t guiding, he was fishing for the fun of it. During the 1960s, he was a member of the Linder’s Black Hat Guide’s League and spent the rest of his life promoting fishing and teaching fishing. In fact, he was known as the Fishing Professor. I don’t know how many fishing seminars he headlined over the years, but it was a bunch. In the heyday of the fishing seminars in the 1980s, Jim did the first River City Anglers seminar with nearly 1,200 people attending. Jim had a booth at many sports shows each winter, including South Sioux City, and gave seminar programs at most of them. He also fished in Canada a lot. In 2008 he and I made a trip into northern Ontario for giant northern pike. We used fly rods, mostly, and caught northerns up to 44 inches long. We had planned a two-week trip, but a late ice-out enabled us to fish for only five days. He began going to Canada in his early teaching days. He and others used to take the high school kids fishing up there each year. Lately, however, just he and his wife, Almeda, made the annual trip into Ontario. Jim was a bona-fide multispecies fishing expert. He even wrote a book about it. In 1972, he was named Muskies Inc. overall release champion. As a conservationist Jim was instrumental and worked hard to preserve our resources, especially the fisheries of the Iowa Great Lakes. He was the guy who pushed hard for the panfish limit on the lakes. He believed even panfish deserved the protection of limits. Working with the fishing club, he led the charge for slot limits on walleyes and for protecting the bulrush habitat on Big Spirit Lake. He was named Fish Conservationist of the Year in 1976 by the Iowa Wildlife Federation. Jim was also a big-time trapper. He had trapped since childhood, and I don’t think he ever missed a year. For the past several years he partnered with his friend and partner in the Iowa Great Lakes Guide Service, Laef Lundbeck, Royal. Laef would run the line from about 3 a.m. until it was time to go to work and then Jim would finish out the line sometime in the afternoon. He was an outdoor writer and radio broadcaster. He worked with Bob Jensen’s “Fishing the Midwest” television show. He wrote sitting in a recliner with a yellow pad and ball point pen. Almeda did the typing on the computer and emailed the stories. Jim was a master with fishing electronics but had little time for computers. He often said he thought he was born 150 years too late. Those of us who knew him tended to agree. He was outdoors every single day that he could be. In fact, on his final day, he had run some traps and spent a few hours in his blind. In the mid-1830s, he probably would have been a mountain-man trapper. And like the mountain men of those days, Jim was a great storyteller. Whether it was the time in his youth when he tried to capture a deer bare-handed or describing exactly how to release a trapped otter using a white 5-gallon bucket, he always had his listeners in stitches. And his highly recognizable laugh would lead the way. It is a sentence that is a combination of good advice and best wishes. That was Jim. And that quote is straight from the man who lived it.